I won't go on too much here with flowery words. 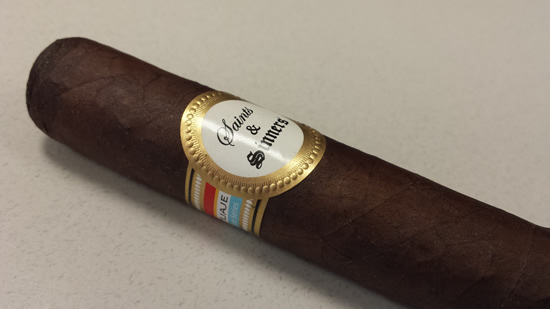 I love Tatuaje cigars - if you haven't already noticed - so this review was a no-brainer. An exclusive Tatuaje? I mean, come on....This is the second incarnation of Pete's exclusive Barclay Rex which he created for the 100th anniversary of the New York store of that same name. 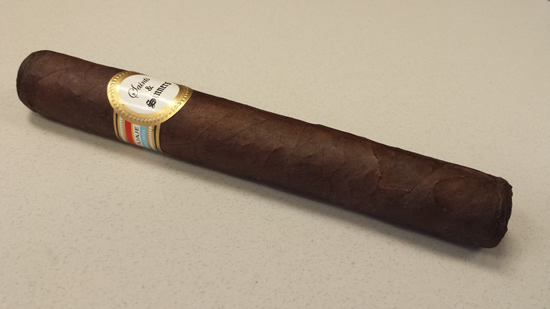 Having never smoked one of these exclusives before, I can honestly say I am excited. Let's go! Construction: The Barclay is a hefty cigar. The wrapper is oily and sparkly like all of Pete's Broadleaf creations. A few veins and some lumps make for a nice rustic look topped off with a nice retro styled band. Pre-light Aroma and Draw: Out of the cellophane - which was a pretty tight fit - I get some nice earthy aromas coupled together with a syrupy sweet note. The draw is nice and open. A cold pull gives off earth, damp wood, and sweet tobacco. Light and Burn: Perfect from start to finish....not a problem to be had. Tasting: Off the start, I get an exceptionally smooth leather, earth, and a hint of hickory. Dark roast coffee and a syrupy cocoa sweetness coat the palate. Smoke production is copious and the burn is spot on with a nice light gray ash. Strength is on the high side of medium but nothing to frightening. Flavors are very dense and rich - something I absolutely love about Pete's cigars. They are the tobacco form of a steak dinner. I noticed that this particular cigar needs about an inch of burn-time before it really blossoms. The middle third of this glorious cigar starts off with an increase in earth and leather....two flavors I love in a cigar. Pete's broadleaf creations often have these flavors at the core and then entwine sweetness and spice in and around them. I have to say that the closest cigar I have had to the Barclay Rex is the 2013 Monster Series JV13...which remains my favorite Tatuaje of all time to date. So, in short, this is an amazing cigar. The final third starts with a slight black pepper and woody spice over those earth and leather core elements. That rich and syrupy sweetness keeps it up as well. Just an amazing cigar from start to finish. As I nub this beauty, I should say that it climbs to the medium full range as you smoke but again, nothing too overpowering. Value: Not available in stores! Yep, this incarnation of the Barclay Rex was a Saints & Sinners exclusive. At $150 a year, you can join the prestigious ranks of the S&S....which gets you a pack of Pete's special blends and some swag. Worth it 100 times over, folks. Final Thoughts: If I can ever get off my duff and join the S&S, I might do more of these exclusive reviews. As it stands, this cigar was given to me by Russell at The Market here in Dayton. If the other cigars you get with an S&S membership are even half this good, it should be on your list of things to do. A truly exceptional cigar that is very highly recommended. I love the S&S band. Very classy and retro.